Daily deals service Groupon has announced a new premium reservations service aimed at restaurants, launching with Savored.com’s reservation engine – a company Groupon acquired last year. Groupon Reserve promises to give diners a discount off their entire check without requiring pre-payment or vouchers. Reserve is now live in ten US markets – Atlanta, Boston, Chicago, Denver, Los Angeles, Miami, New York City, Philadelphia, San Francisco and Washington, D.C., though it says plans are afoot to expand to more cities in the US and beyond by the end of 2013. At the time of writing, discounts are being offered in 600 of the country’s higher-end restaurants, including Le Cirque in New York City, Chaya Brasserie in Los Angeles and db Bistro Moderne in Miami. You can indicate the number of people, date, time, and specific neighborhoods. You can also see the discounts on offer before opting for your desired time-slot, and it’s displayed below each eatery as ‘7.30pm 30% off’, and so on. 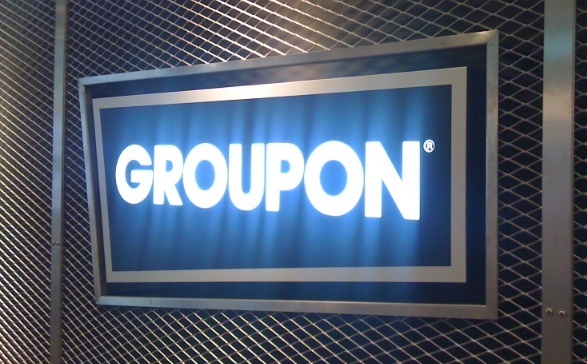 Groupon has increasingly been placing more of a focus on the ‘here and now’ in recent times. Back in 2011 it launched Groupon Now, with options such as “I’m Hungry” and “I’m Bored,” helping guide you towards appropriate activities near where you currently are, using geo-location. But its core raison d’être has always been about its daily deals and discounts. Now it’s targeting higher-end restaurants and removed the need for vouchers, this takes Groupon in a slightly different direction. Diners can book without committing to a very specific deal based on number of coursers, for example, and will know that they can order whatever they want and receive an automatic discount on the final cost. Though it’s all about restaurants for the time-being, Groupon says that Reserve will be opened to ‘premium’ experiences from other sectors in the future, including beauty, product, travel and entertainment brands.